On 30th October 2009 the Houses of Parliament in the UK had youthful guests. Three hundred members of the UK Youth Parliament, ranging from 11 to 18 years of age, sat on the benches of the Commons to hold their annual debate and discuss issues such as lowering the voting age to 16, youth crime and how to tackle it, public transport for young people, jobs for young people and the economy and university fees. The UK Youth Parliament was established between 1999 and 2001 with the intention of providing youngsters with a forum to participate in politics and work for social change (see their website for details http://www.ukyouthparliament.org.uk). The UK Youth Parliament is just one example of the importance of recognizing young people’s active social and political roles and their potential contribution to wider political debate. 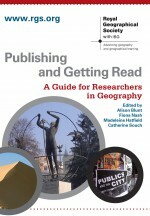 In a forthcoming article for Area, Tracey Skelton calls for Political Geography to recognize young people as full political actors and not only as “political subjects in waiting” and to “acknowledge that political policies, practices and discourses have direct impacts on young people and that young people do not accept these impacts passively but are actively engaged as political subjects and agents” (2009:2). Furthermore, she examines the division between ‘P’ politics (a formal and public understanding of institutional and macro politics) and ‘p’ politics (the informal, grass-roots, individual and micro politics) to illustrate how young people are ideally positioned to “perform, articulate and conceptualise a melded and blended P/politics”, to “go beyond the binary and create something potentially politically new” (Skelton, 2009: 6). In this sense, Political Geography can help to recognize the contributions that young people can make in changing the very nature of politics. Read Tracey Skelton (2009) “Taking young people as political actors seriously: opening the borders of political geography”. Area. Forthcoming. This entry was posted in Area and tagged Global Issues, Political Geography, politics, UK Youth Parliament, young people on November 5, 2009 by rosamg.